Wing specialist with a simple setup & menu that includes oven-baked subs & chicken tenders. 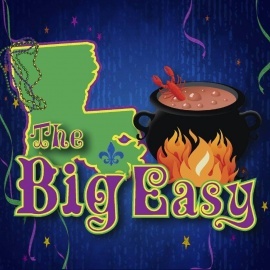 Cajun-Creole eatery serving po' boys, jambalaya & other classic dishes in a purple & yellow space. Chill hub in a vintage grocery store with burgers & bar food, live music & a massive beer selection.